In a world driven by visual impact, you need to stand out from the crowd for what you say and how you say it. Go above and beyond. And we can help you. With a rich heritage and a track record for delivering meaningful solutions, we bring together industry-leading technology with business-focused innovation to help you achieve more. Let us assist you with PHILIPS product to achieve your goal. Located in San Jose, the heart of Silicon Valley, 22MILES is utilizing the latest while reliable technologies for businesses to compete in their fields. 22MILES proprietary multi-touch framework enables our interactive solutions to smoothly run on various Multi-Touch Hardware, and also to well perform in Windows 7, Windows XP/Vista, Mac OS X, and other Non-Windows systems. 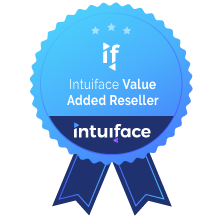 Intuiface enables any organization to create and deliver – in record time - gratifying, purposeful, data-driven digital experiences that connect people to place, powered by the latest interactive technologies. Navori is a Swiss company having 20 years of experience in Digital Signage Software. European pioneer, the company is headquartered in Lausanne with offices in America and the Middle East. Our software technology QL is marketed through a distribution channel, system integrators and digital signage operators across 100+ countries. The company USP is leveraging technology through constant innovation.